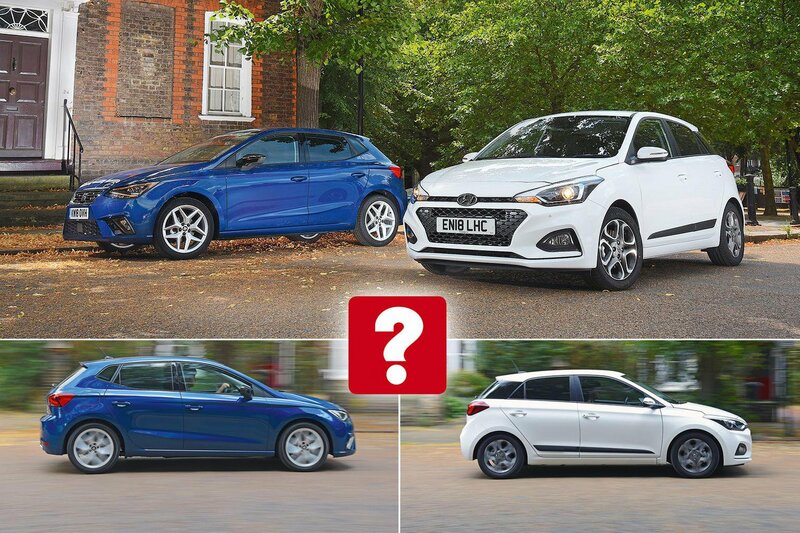 New Hyundai i20 vs Seat Ibiza | What Car? A mid-life spruce-up brings sharper looks, extra standard kit and more safety tech. Our top-value, good-to-drive 2018 Small Car of the Year returns to defend its title. There’s no denying that hatchbacks have suffered a bit of a setback in recent years, with the unstoppable rise of SUVs hoovering up more and more of the family car market. But despite this, many buyers still crave the practicality and value for money that only a hatch can offer. Want proof? Well, seven out of the 10 most popular cars sold in the UK last month were hatches, with the Ford Fiesta, Volkswagen Polo and Mini hatch all making the top five. Indeed, the small hatchback class is still one of the most fiercely contested. That no doubt helps explain why Hyundai has decided to treat its i20 to a mid-life update. Now, it’s worth pointing out that, mechanically, the ‘new’ i20 is more or less unchanged from the car that first went on sale in 2014. But not so with the looks. Most noticeable is the grafting on of Hyundai’s latest ‘cascading’ grille – shared with the Kona and new Santa Fe SUVs – as well as sportier bumper designs and new tail-lights. However, the biggest draw for buyers will be the news of more standard equipment. All models in the i20 range now feature a 7.0in touchscreen infotainment system, complete with Bluetooth, Apple CarPlay and Android Auto smartphone mirroring and a rear-view camera. A decent number of updates, then. But will they be enough to move the i20 ahead of our reigning Small Car of the Year, the Seat Ibiza? Despite having similar mechanical make-ups, these two hatchbacks are surprisingly different to drive. Indeed, it’s something you notice as soon as you turn the key. Whereas the Ibiza’s 94bhp turbocharged 1.0-litre petrol engine fires into life with a distinctive and surprisingly bassy three-cylinder hum, the i20, with its fractionally more powerful 99bhp turbocharged 1.0-litre unit, remains virtually silent. Both engines pull eagerly from low revs, but the Ibiza’s is punchier through the mid-range and when you rev it hard. 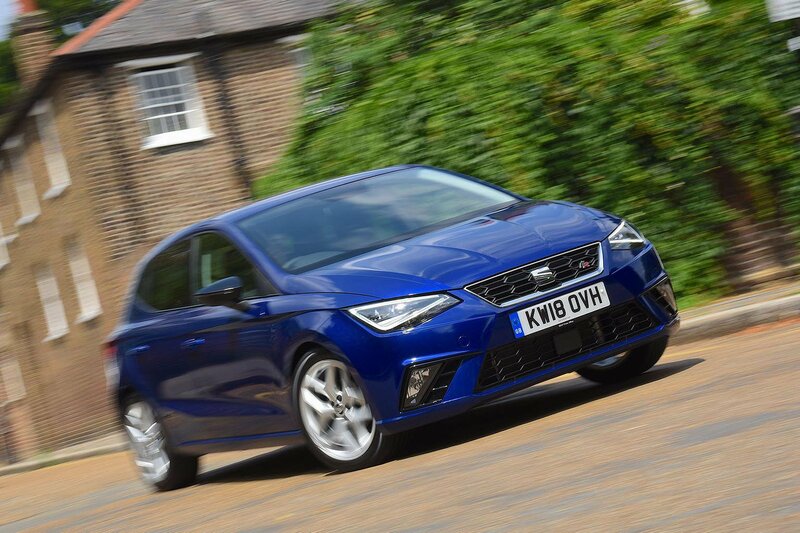 Factor in a slick and accurate five-speed manual gearbox, as opposed to the i20’s disconcertingly notchy shifter, and it’s no surprise that the Ibiza immediately feels easier and more enjoyable to drive. It’s the same story when you come to some corners. 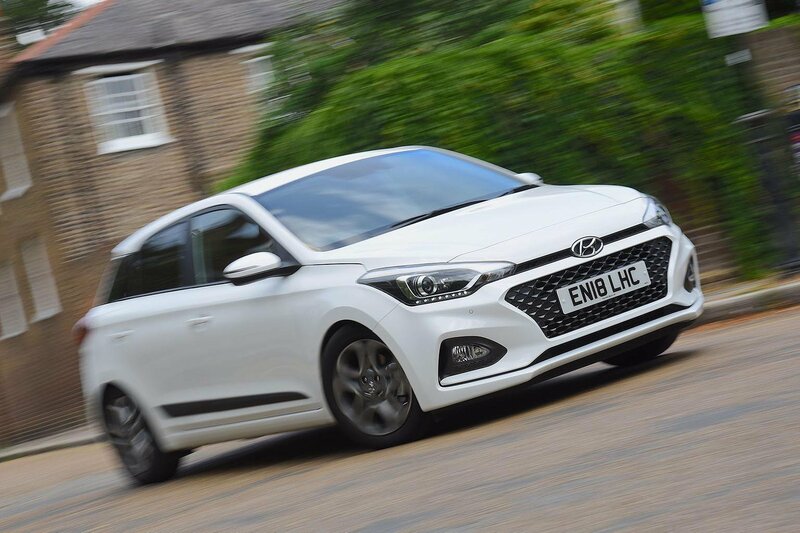 The Ibiza, with its relatively stiff suspension (a standard feature of the sporty FR trim level), resists body lean remarkably well during fast changes of direction, whereas the i20’s altogether softer approach results in it being far more roly-poly. This, combined with steering that feels disconcertingly artificial, means it never gives you the same confidence as the Ibiza. But, of course, these are not hot hatches, and the i20’s more relaxed set-up does bring some advantages – primarily a more supple ride. 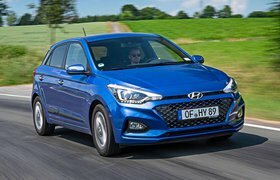 Indeed, where the Ibiza’s firm suspension results in the odd thump and shimmy over sharp-edged bumps, the i20 does a better job of sponging up the same road scars. The i20 also proves to be quieter around town and on the motorway. Granted, the absence of a sixth gear in both cars means their engines spin away quite quickly at higher speeds, so there’s a constant background drone, but this is more noticeable in the Ibiza. In addition, the Ibiza generates quite a bit more tyre roar.